Incredibly powerful, yet fast and nimble, the Zeus amplifier sets a new standard in the "Superamp" category. 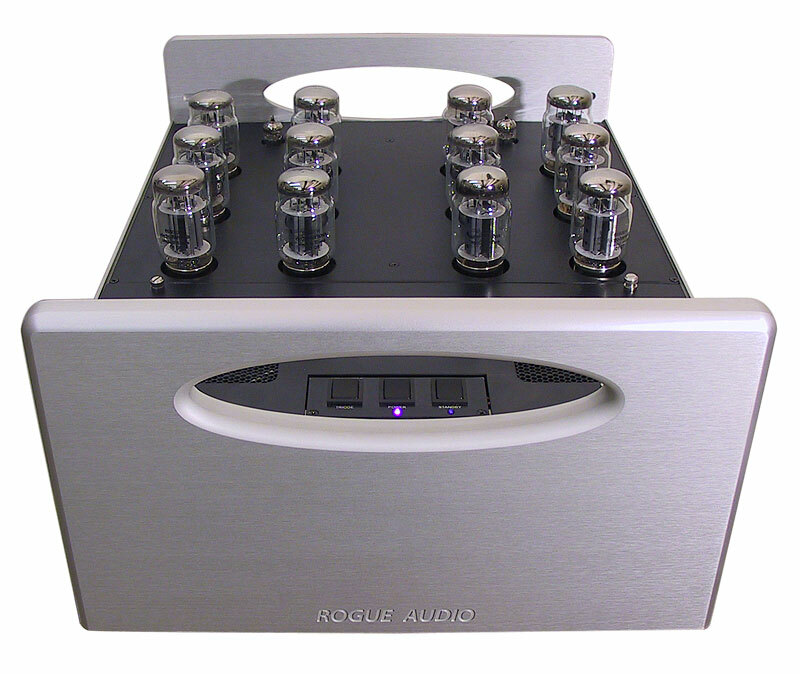 Utilizing cutting edge technology, this statement amplifier was engineered from the ground up with a single design goal – to be the finest tube amp available. Designed not only to achieve the highest levels of delicacy and transparency, Zeus is also capable of recreating true concert hall volumes and dynamics. One listen and you will know why we called it Zeus. This completely dual mono design has a power output of 225 WPC in Ultralinear mode. With a unique and elegant appearance, Zeus boasts a 1" thick machined aluminum faceplate and all aluminum machined body panels. An on the fly switch offers the choice between Triode and Ultralinear operation. A second standby switch allows the amplifier to remain warmed up and ready for immediate use between listening sessions. Built in meters and individual bias switches makes tube biasing a snap even for the tube novice. The rear panel contains balanced and single ended inputs as well as 4 and 8 ohm binding posts. ©Copyright 2001 Rogue Audio, Inc.